Thomas Aquinas and other ludicrous pseudo-philosophers (in contradistinction with real philosophers such as Abelard) used to ponder questions about angels, such as whether they can interpenetrate (as bosons do). Are today’s mathematicians just as ridiculous? The assumption of infinity has been “proven” by the simplest reasoning ever: if n is the largest number, clearly, (n+1) is larger. I have long disagreed with that hare-brained sort of certainty, and it’s not a matter of shooting the breeze. (My point of view has been spreading in recent years!) Just saying something exists, does not make it so (or then one would believe Hitler and Brexiters). If I say:”I am emperor of the galaxy known as the Milky Way!” that has a nice ring to it, but it does not make it so (too bad, that would be fun). The reason has to do with discoveries made between 1600 and 1923. Around 1600 Kepler tried to concretize that attraction of planets to the sun (with a 1/d law). Ishmael Boulliau (or Bullialdius) loved the eclipses (a top astronomer, a crater on the Moon is named after him). But Boulliau strongly disagreed with 1/d and gave a simple, but strong reasoning to explain it should be 1/dd, the famous inverse square law. 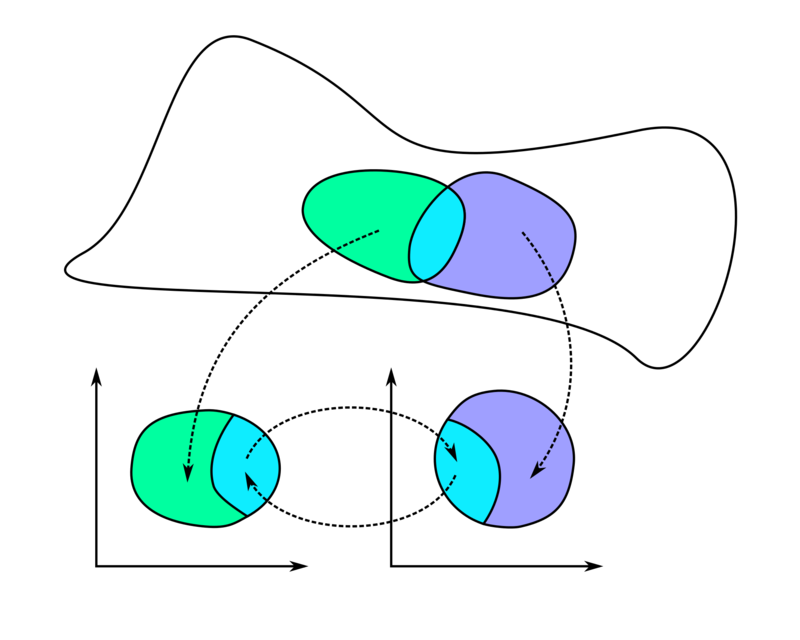 Newton later (supposedly) established the equivalence between the 1/dd law and Kepler’s three laws of orbital motion, thus demonstrating the former (there is some controversy as whether Newton fully demonstrated that he could assume planets were point-masses, what’s now known as Gauss’ law). I insist upon the 1/dd law, because we have no better (roll over Einstein…), on a small-scale. Laplace (and some British thinker) pointed out in the late 18C that this 1/dd law implied Black Holes. In 1900, Jules Henri Poincaré demonstrated that energy had inertial mass. That’s the famous E = mcc. So famous, it could only be attributed to a member of the superior Prussian race. The third ingredient in the annihilation of infinity was De Broglie’s assertion that to every particle a wave should be associated. The simple fact that, in some sense a particle was a wave (or “wave-packet”), made the particle delocalized, thus attached to a neighborhood, not a point. At this point, points exited reality. Moreover, the frequency of the wave is given by its momentum-energy, said De Broglie (and that was promptly demonstrated in various ways). That latter fact prevents to make a particle too much into a point. Because, to have short wave, it needs a high frequency, thus a high energy, and if that’s high enough, it becomes a Black Hole, and, even worse a Whole Hole (gravity falls out of sight, physics implodes). @Patrice Ayme: It seems that you are making the exact same conflation of “the map” and “the territory” that I’ve recommended should be avoided. There is no such thing as the largest number in our conceptual model of numbers, but there is at any given point, a limit on the number of particles in the physical universe. If tomorrow we find that each fermion consists of a million vibrating strings, we can easily accommodate the new limit because of the flexible conceptual structure provided by the infinite assumption in our mathematics. According to Quantum Theory, to each particle is associated a wave, itself computed from, and expressing, the momentum-energy of said particle. Each neighborhood could be of (barely more than) Planck radius. Tessellate the entire visible universe this way. If too each distinct wave one attaches an integer, it is clear that one will run out of waves, at some point, to label integers with. My view does not depend upon strings, super or not: I just incorporated the simplest model of strings. 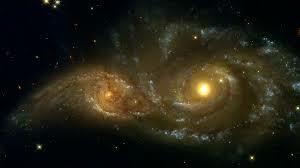 The presence of God, aka infinity, in mathematics, is not innocuous. Many mathematical brain teasers become easier, or solvable if one assumes only a largest number (this is also how computers compute, nota bene). Assuming infinity, aka God, has diverted mathematical innovation away from the real world (say fluid flow, plasma physics, nonlinear PDEs, nonlinear waves, etc.) and into questions akin to assuming that an infinity of angels can hold on a pinhead. Well, sorry, but modern physics has an answer: only a finite number.